In reality, most organizations lack a well-implemented classification program designed to identify, monitor, and apply effective controls to all their sensitive information. 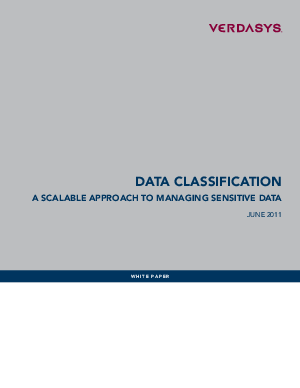 Whereas some companies may have defined basic classification schemas on paper to organize their data, they lack the technical and business support to enforce data classification programs - especially when the data is in an unstructured form. Organizational obstacles, combined with the technical challenges of accurately identifying data or understanding its changing relationship to corporate policies over time, make enterprise classification a non-starter for most organizations.